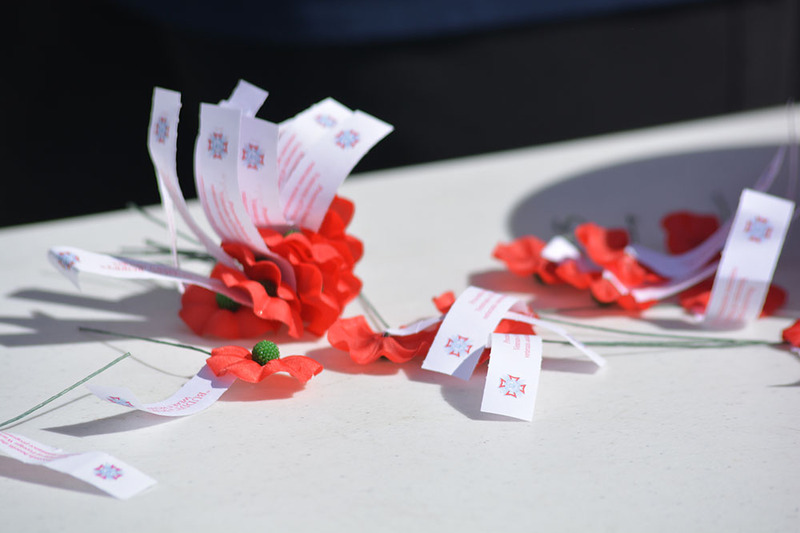 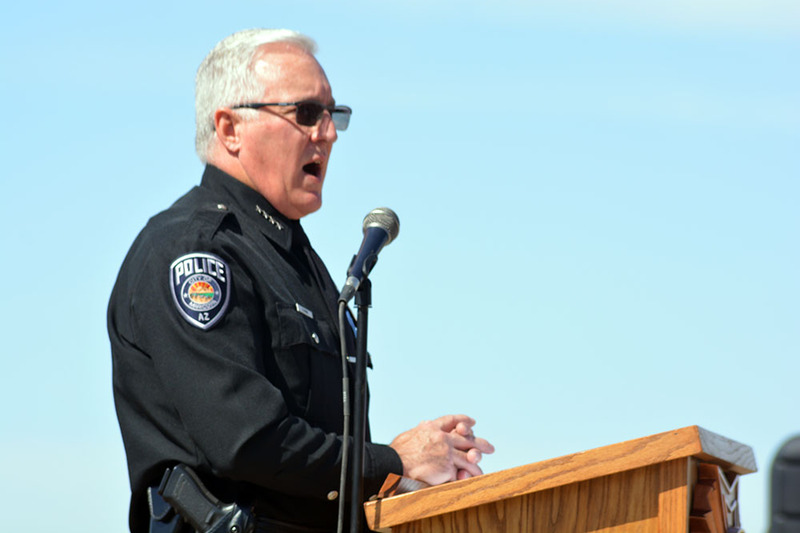 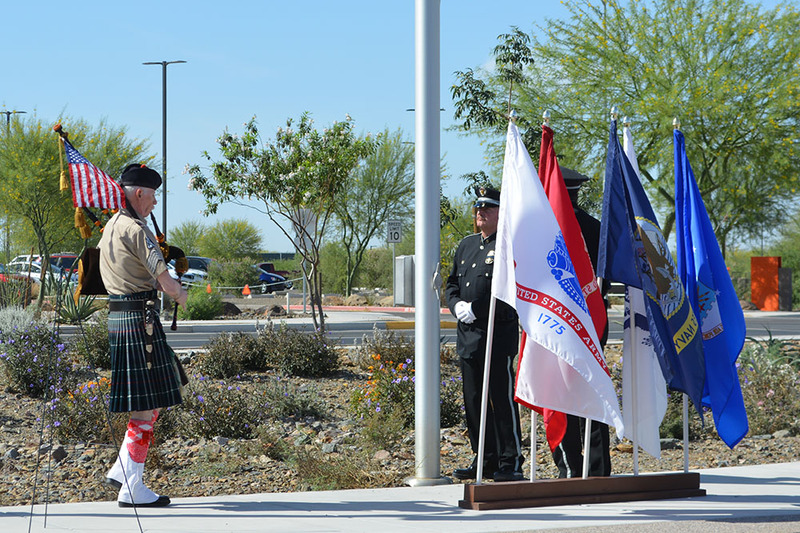 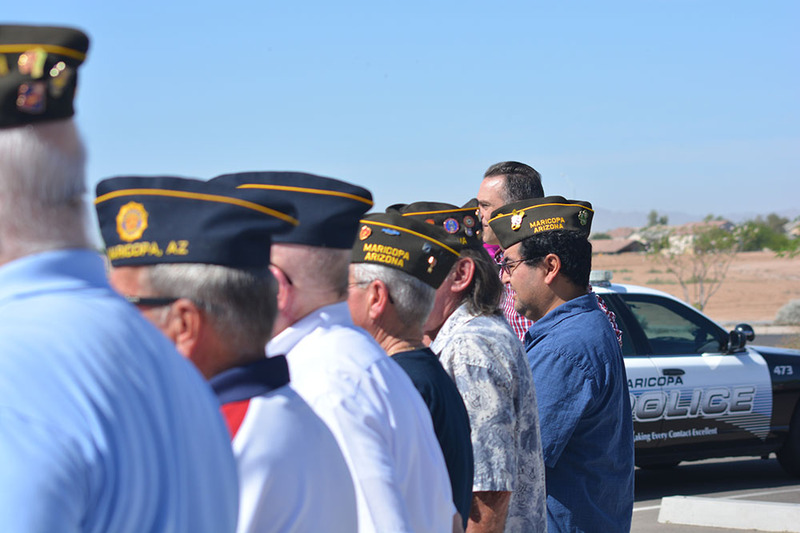 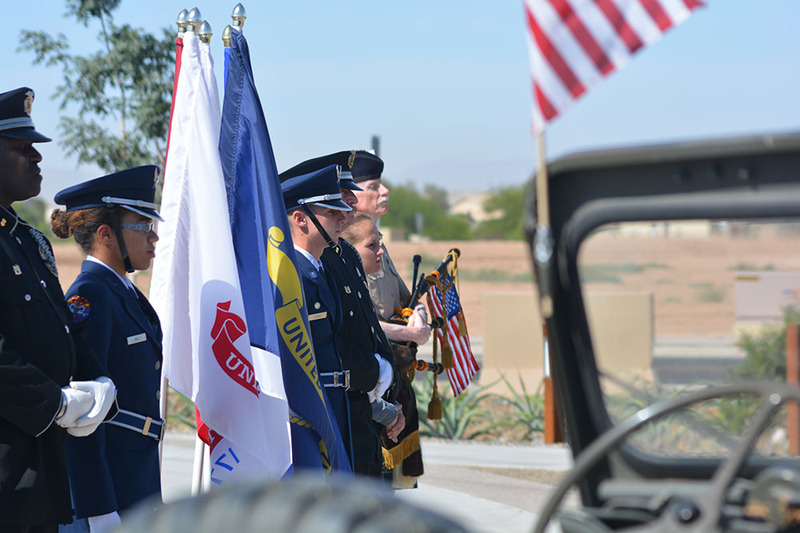 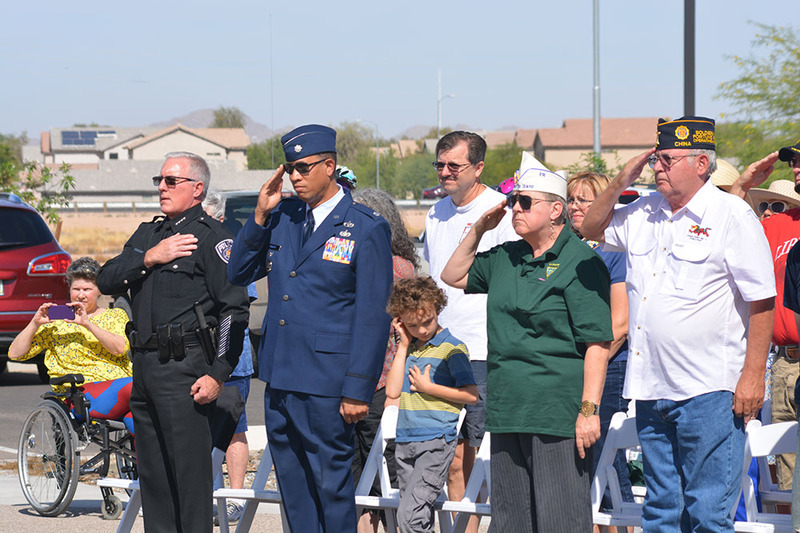 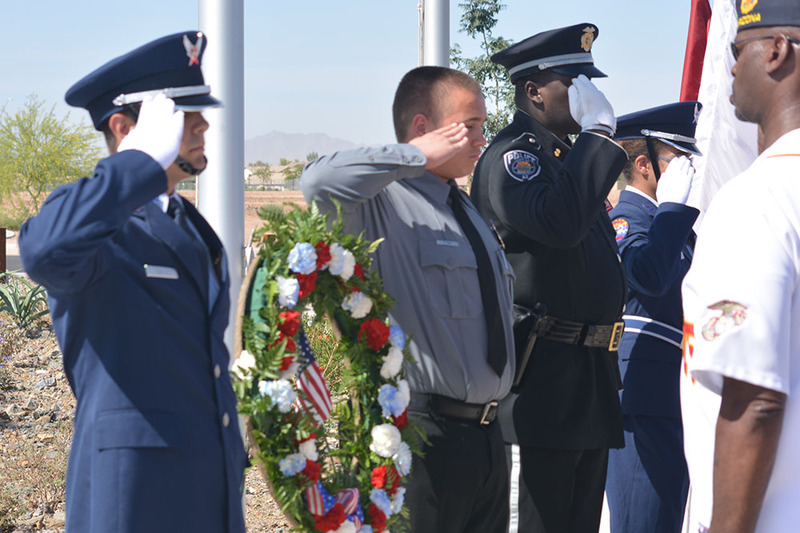 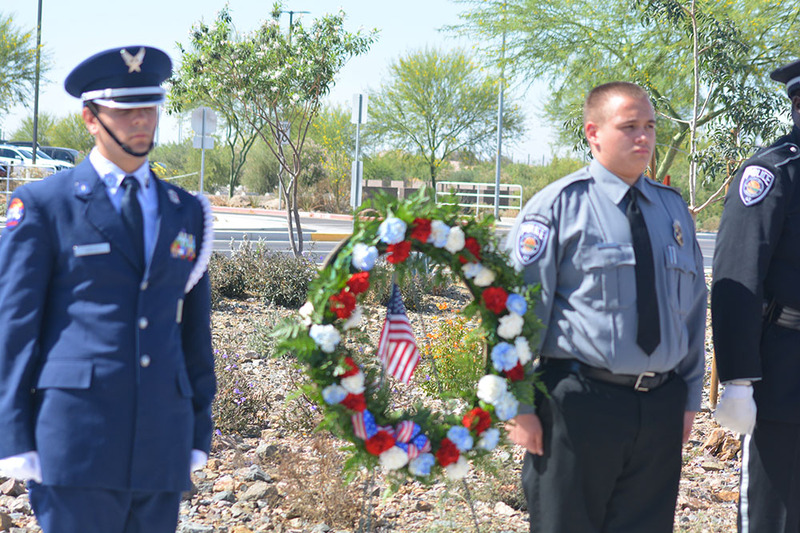 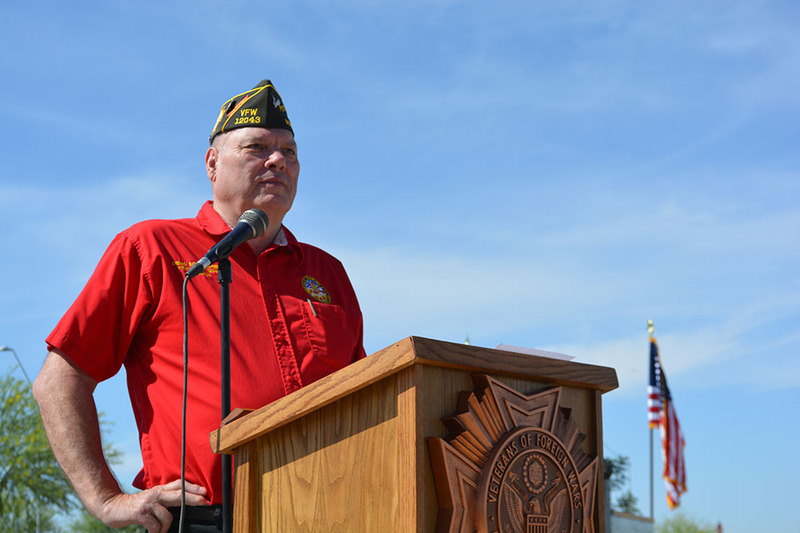 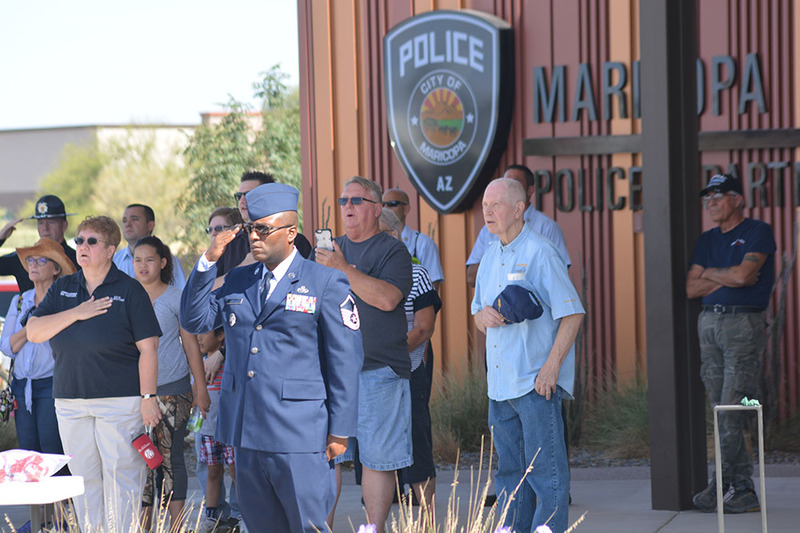 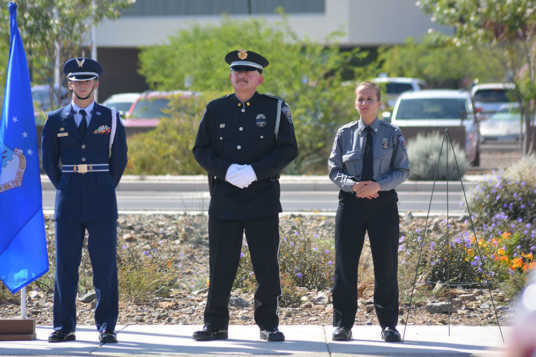 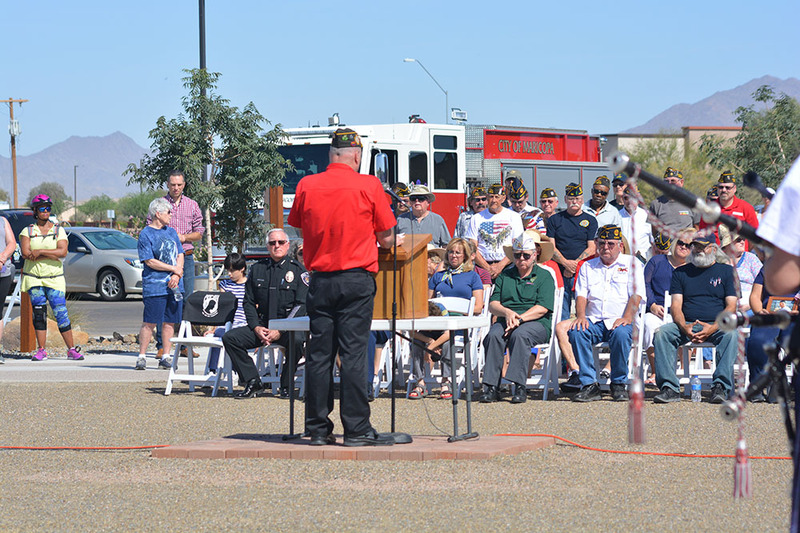 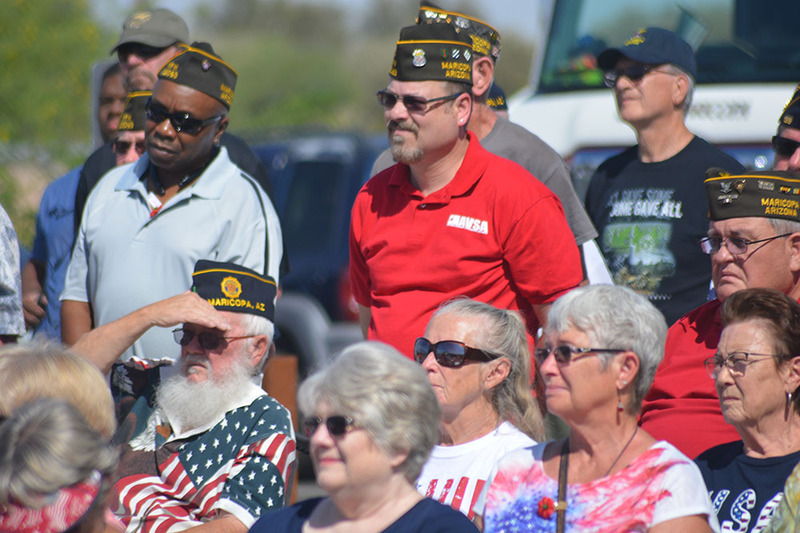 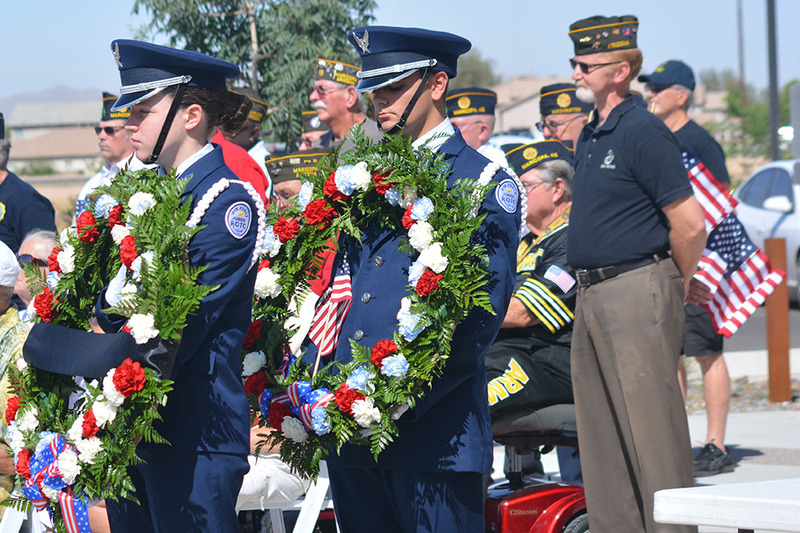 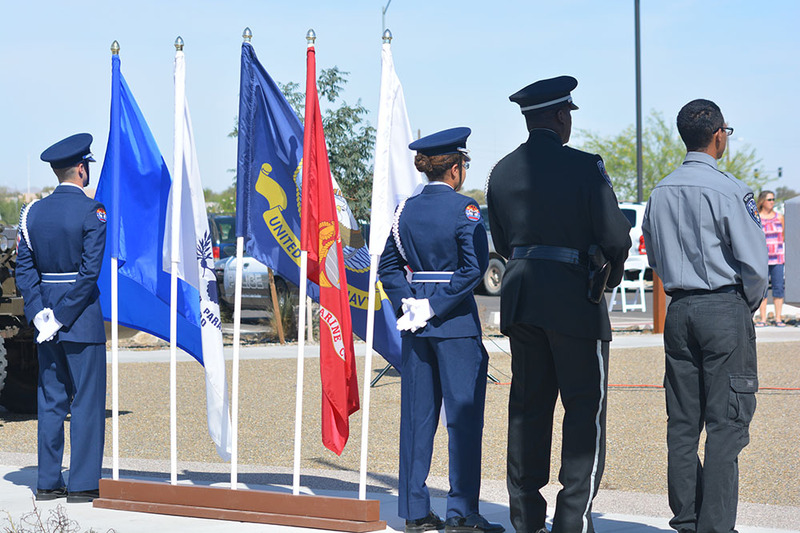 Maricopa veterans and the police department combined efforts Monday morning to mark Memorial Day and pay tribute to military personnel and police officers who have died in the line of duty. 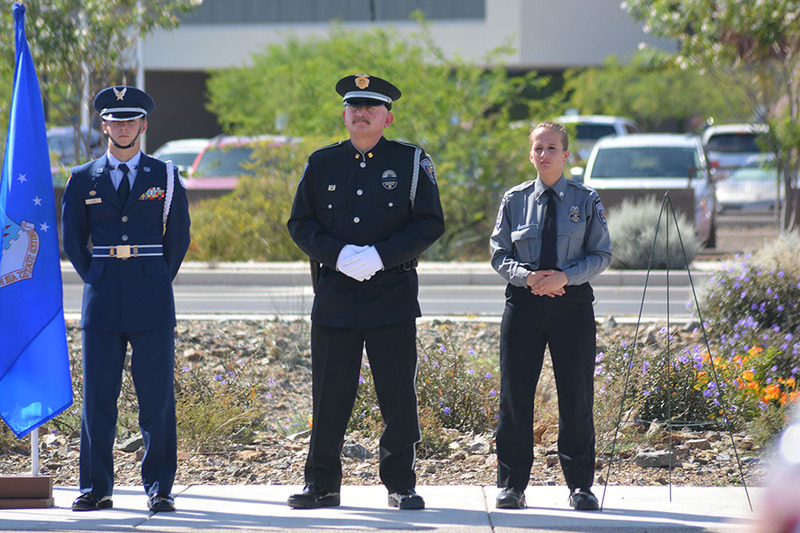 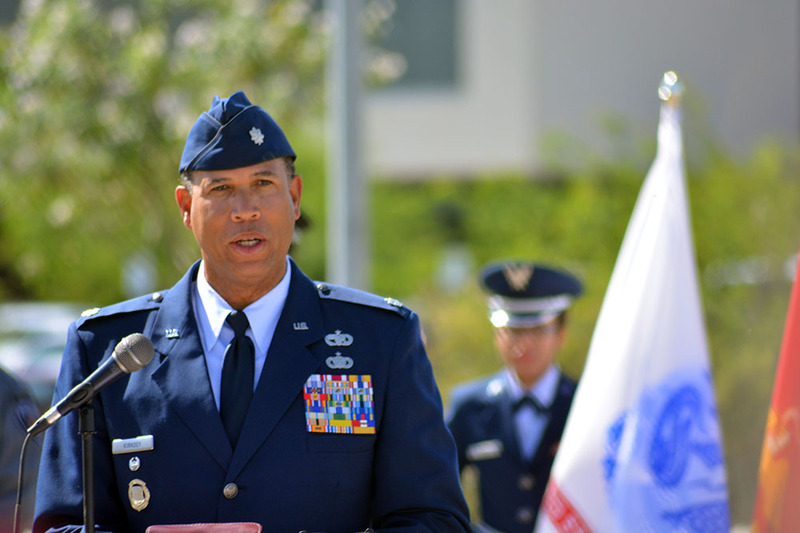 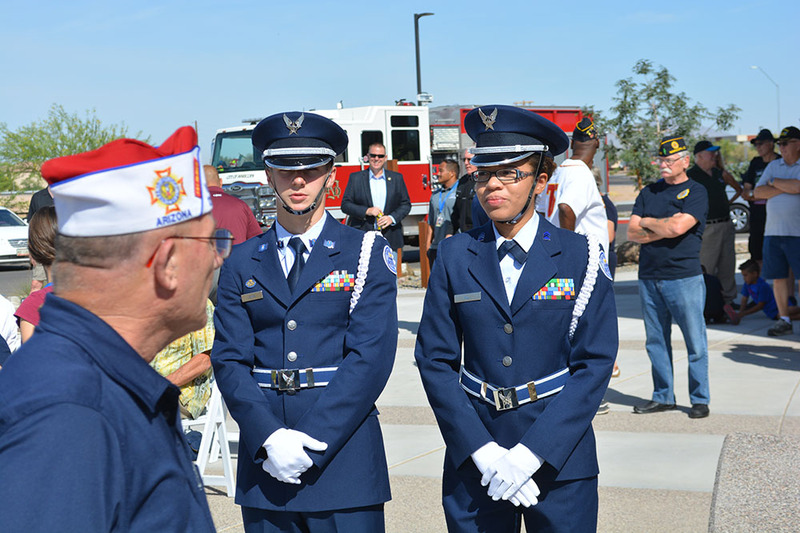 VFW Commander Denis Sommerfield, MPD Chief Steve Stahl and Maricopa High School AFJROTC instructor Lt. Col. Allen Kirksey were speakers between the raising of the flag and laying of the wreaths. 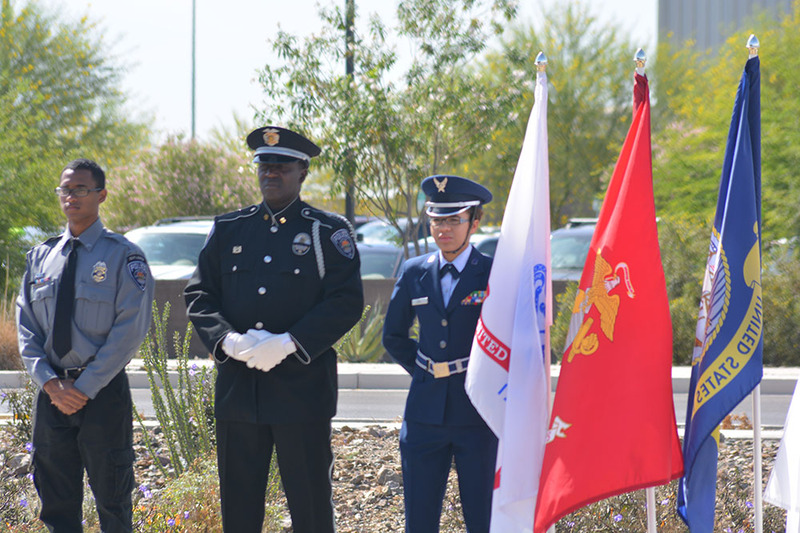 The JROTC and MPD Explorers participated in the ceremony at the police substation at Copper Sky. 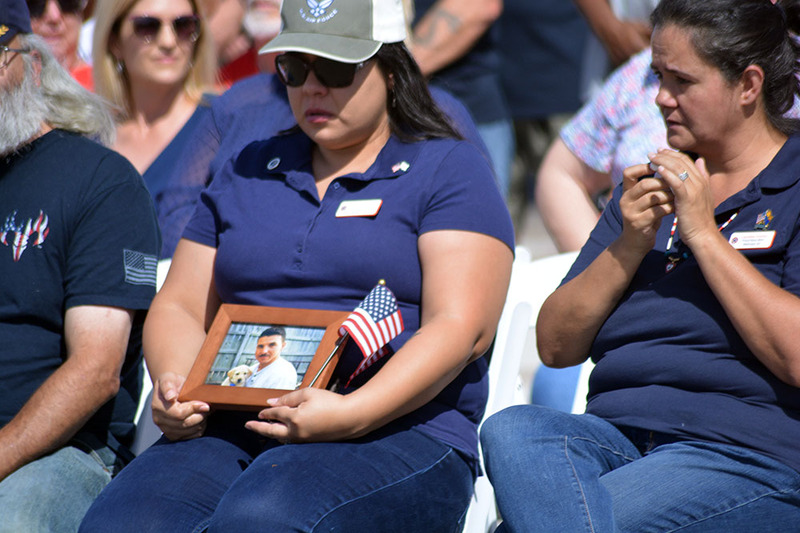 Blue Star Mom Vero Sanchez, whose son is in the Air Force, brought a photo of her late brother-in-law Staff Sgt. 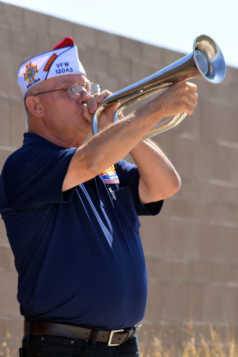 Michael Sanchez, who died 17 years ago.